Yota's unconventional hardware design has gained the company a lot of press, but following the Mobile World Congress debut of the YotaPhone 2, we've heard nary a peep for the better part of a year. That changed today in a Moscow presentation: the second-gen phone with a built-in e-ink screen on the rear of the case will go on sale in 20 European countries later in December, presumably including Russia. The price will be 33,000 Rubles, approximately $610 or 495 Euro, though taxes and fees may push it higher in some places. 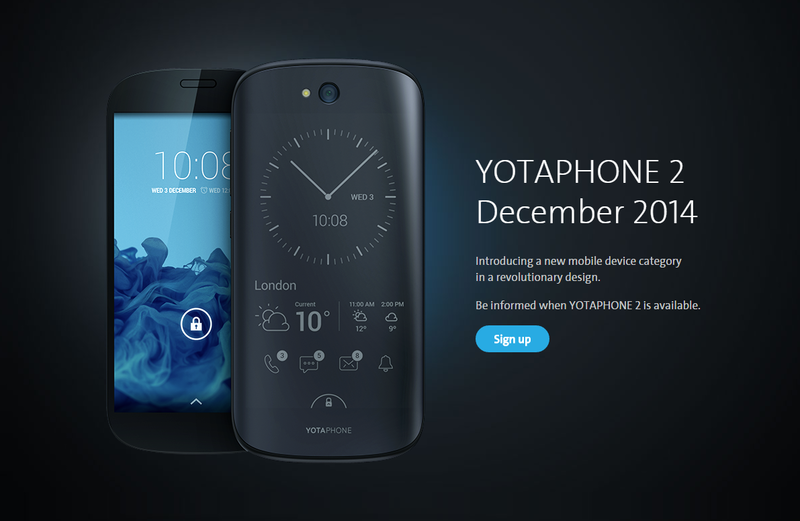 After Europe, the YotaPhone 2 will expand to China and other Asian countries in early 2015, followed by Canada and Latin America. The company made no indication that it would sell phones in the United States, perhaps dissuaded by our entrenched carrier-manufacturer ecosystem. Precise launch dates, or even locations, were not announced. Potential customers can sign up for updates via email at yotaphone.com. The company will be opening a retail store in London tomorrow, December 3rd, presumably with phones on hand to sell. The YotaPhone uses one side of the device as a conventional smartphone, while the opposite side holds an e-Ink screen. Users can flip between the screens on the fly, taking advantage of either one for full image fidelity or readability and battery saving (with limited apps provided by Yota). 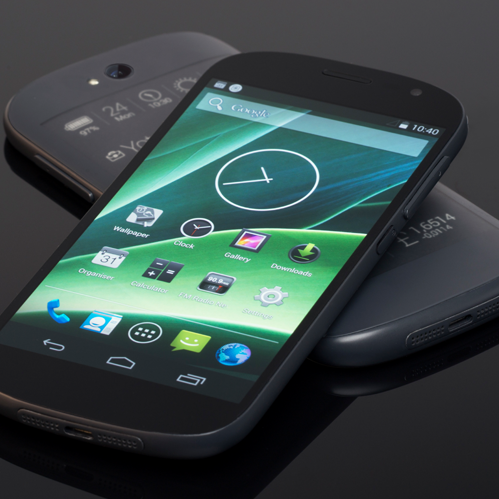 The YotaPhone 2 improves upon the original design with a larger 5-inch primary AMOLED screen (still no confirmed resolution) and a 4.7-inch e-ink screen. The phone runs on Android KitKat, taking advantage of a Snapdragon 800 processor, 32GB of storage, and an 8MP rear camera. The company claims that using the phone in "reader mode" using only the e-ink screen) will give it a five-day battery life. It's faintly possible that Yota declined to announce US availability because it has a carrier partner lined up, but I wouldn't bet on it. We'll have to wait for reviews to come in from across the pond to see some in-depth impressions of this unique device.